Here comes the new Government Job notification for all ITI Pass candidates in the relevant trade. 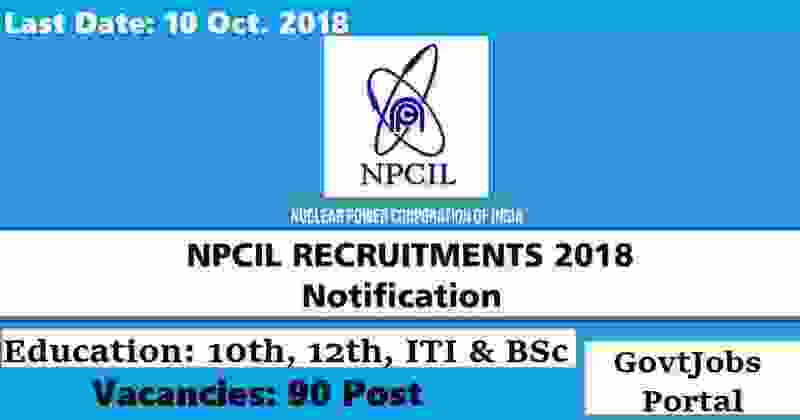 NPCIL is stands for “ Nuclear Power Corporation of India Limited” is looking to recruit fresher ITI pass candidates for Trade apprentices posts. NPCIL organization is one of the premier Public Sector company under Department of Atomic Energy, Government of India. This organization have the complete capability in all facets of Nuclear Technology viz. Site Selection, Design, Construction, Commissioning, Operation, Maintenance, Renovation, Modernization, & Upgradation, Plant life extension, Waste Management and Decommissioning of Nuclear Reactors in India. 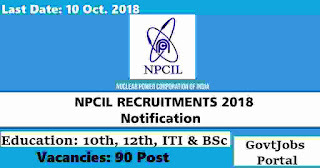 NPCIL Recruitment department is inviting online Government jobs Applications from the eligible applicants from India who have passed out from their ITI Courses. NPCIL is going to recruit applicants for the engagement of Trade Apprentices under the Apprentices Act, 1961 and Apprenticeship Rules. More information about these Government jobs for ITI Pass candidates is given below in this article. Read it carefully to know more about these ITI Jobs in India 2018. Educational Criteria: All Indian applicants who have passed in their ITI course in the relevant trade are eligible to apply for these ITI jobs in India. Age Bond: Applicant age must not be less than 16 years. While the maximum age up to which candidates can apply for this NPCIL Recruitment is 24 years. So those who lies in between this age criteria can apply online. 1. Concerned applicants are first required to register in the web portal http://apprenticeship.gov.in for registration as apprentices. The Govt job applications will not be accepted without registration in the above mentioned web portal. 2. Persons who have registered for apprenticeship in the web portal http://apprenticeship.gov.in , have to apply for the particular trade through the Establishment Registration No. E06172702965, the establishment id for Nuclear Power Corporation of India Ltd, Tarapur Maharashtra Site. The applications will not be accepted, if not applied in the Establishment ID. 3. Aspirants may download the application form (Annexure-I) from the npcil website www.npcil.nic.in under Opportunities Tab. Before applying the candidate should ensure his/her eligibility for apprentice training. 10TH Oct. 2018 is the Last Date to accept application.